Here, you can read fiction, answer all your trivia questions with the Sevencyclopaedia, view pictures in the gallery, find news regarding the cast and conventions, study the B7 fanzine database, go shopping for Zines and CDs, follow the acting careers of Paul Darrow and Gareth Thomas, and much else besides. The shop on this site accepts credit cards via a secure server. Clicking on a Buy Me button does not commit you to a purchase. All prices include postage. Please Email comments, suggestions, reviews and contributions to Judith at Judith@Blakes-7.com. 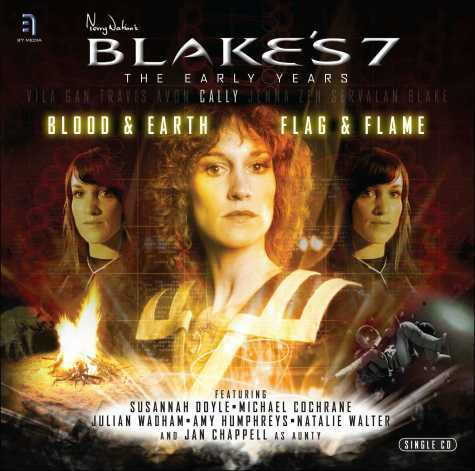 Blake's 7 Audio Adventures All CDs Now available! 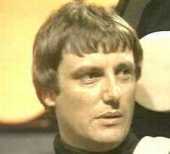 Peter Tuddenham (the voice of Orac, Zen and Slave died on the 9th of July. These are the most significant changes. See New Pages for new pages and Modified pages for a comprehensive list of ALL changes. Stargate Fiction by Judith Proctor and Vanessa Mullen. The Gallery has some new fan pictures and some more Lego - a splendid Lego Scorpio. The 2nd hand department in our Zine shop now works from this site as well as from Knightwriter. It has over 1000 2nd hand zines, many of which are are B7. Gift Certificates We have Gift Certificates in the Fanzine Shop. These allow you to buy a gift of zines for friends and relatives (e.g. for Christmas) or others to buy zines for you. And you don't have to tell them what ones you want... The gifts are fully flexible, don't have to all used at once, may be used in combination, or even mailed on to someone else. The Library is growing with over 600 stories. Over 80 authors including: Melody Clark, Marian Mendez, Alicia Ann Fox, Sheila Paulson, Neil Faulkner, Judith Proctor, Vega and many more. You can choose stories by category. Feedback welcome. Logos to link to this site�some of you have asked for some logos, here is a selection. Thanks to all the contibutors to this site. Kaldor City: Storm Mine 6th Kaldor City CD available with Paul Darrow. Jacqueline Pearce in the third Actor Speaks CD. New Dr Who CD from Magic Bullet. Visited times since 1 Jan 2004. And 60500 times in 2003. A page of Hermit.org. Last changed on 06th of September 2009 - Version 462.